« Mayor Luke’s last visit to the Office of That’s Church? 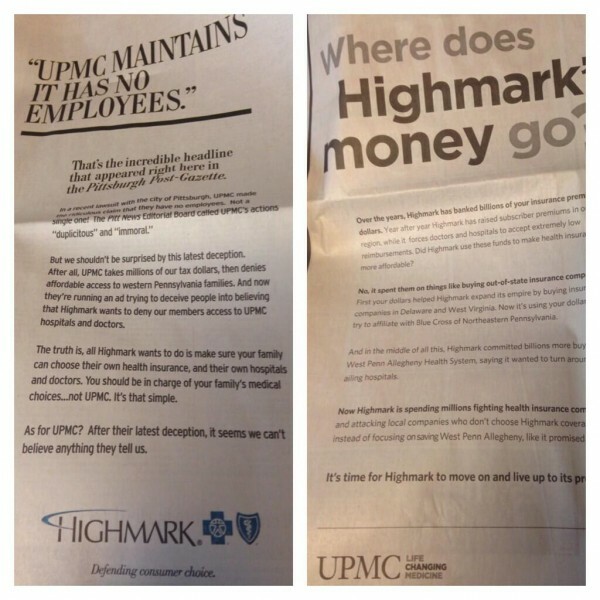 I cannot take another newspaper ad or another ridiculous scary-sounding television commercial by either Highmark or UPMC. Like, I haven’t been this stabby since Mayor Luke learned what a hashtag is. I am sick of both of them. I don’t care who wins at this point, because they’re both going to lose; King Solomon is going to cut their baby in half. I let them have it over at Pittsburgh Magazine. It is time for the ad war to stop and working toward a solution to start, and that’s not going to happen until they realize I am speaking the truth. So let them hear it. We’re sick of both of ya, Highmark and UPMC. At this point, we’re rooting for an asteroid. P.S. CAN YOU BELIEVE THE EDITOR ALLOWED THAT LAST GIF?!!?!?!?!?!? WHAT DOES THAT TELL YOU?!?!? I CANNOT STOP SHOUTING AT THE EPICNESS OF THAT!!!!!!!! ALL YOUR EXCLAMATION POINTS ARE BELONG TO US!!!!!! When we’re counting on the politicians in Harrisburg to come up with a law that fixes this stuff, you know we’re in real trouble. And it’ll probably take a law, since it doesn’t appear either side is going to extend an arm in friendship unless that arm has been thoroughly twisted first. Thank you for putting into words what I think every time I see one of those ads. ENOUGH already! You got that right on the mark! Twenty-five plus years of working in the healthcare game and all I see is the greed.